Any time the NYT hires a new food critic, you can be sure the choice will be both "obvious" and some other self-congratulatory adjective. 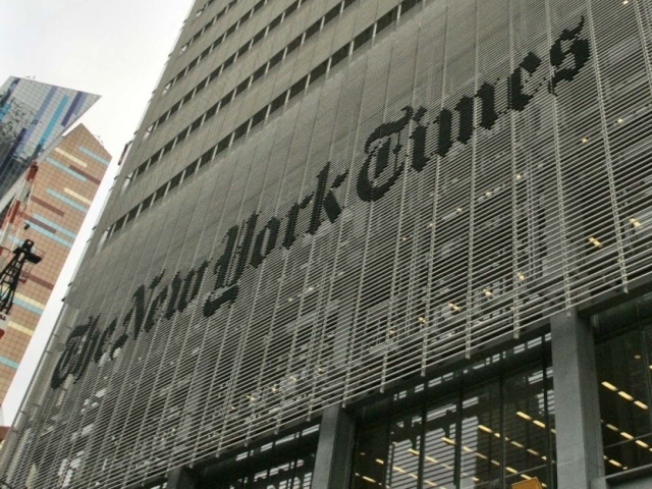 Sam Sifton, who has been The New York Times' culture editor since 2005, has been named Frank Bruni's successor as the Grey Lady's food critic. Sifton, who had previously been the editor of the Dining section at The Times, was selected after a list of external candidates had been winnowed down and then thrown out, according to a copy of Executive Editor Bill Keller's memo announcing the change. "The choice is both obvious and eccentric," wrote Keller, in a structural echo of his announcement of Bruni's leaving the job. "(T)he choice seems not only obvious, but inspired," Keller wrote this past May in assessing the paper's selection in 2004 of Bruni. Sifton's photo has already been removed from the NYT's Talk to the Newsroom series, presumably in a vain attempt to protect his identity, notes The New York Observer. Seeing as Gawker has photos of virtually everyone who ever published anything in any medium, the idea seems laughably quaint. It goes without saying that the job has lost considerable power in the time since Bruni took over. Now that eating and cooking are both sporting events and everyone is a Monday morning quarterback, the number of voices in the food crit world has exploded over the past five years. Still there are worse ways to make a living than being paid to eat in some of the best -- and worst -- restaurants in the city, which Sifton will begin doing in October. Bruni is vacating the position to become a writer-at-large for the paper's Sunday magazine. Readers got a preview of what to expect from Bruni in the July 15 edition of the Magazine, in a look back at his relationship with food titled, "I Was a Baby Bulimic."